As part of our Beeline project (helping wildlife and the environment) we are holding a competition to grow the biggest pumpkin! We are also delighted to say Fonthill Garden Centre will be giving away all you need to grow your own huge pumpkin. All you need to do is go along the garden centre (it’s the one on the Bath Road in Bitton opposite the Boys football club) and they will provide you with the seed, compost and a pot. Seeds will also be available from the office towards the end of next week along with instructions on how to grow pumpkins, for those who are unable to reach the garden centre. We will not be providing the compost or pots though! 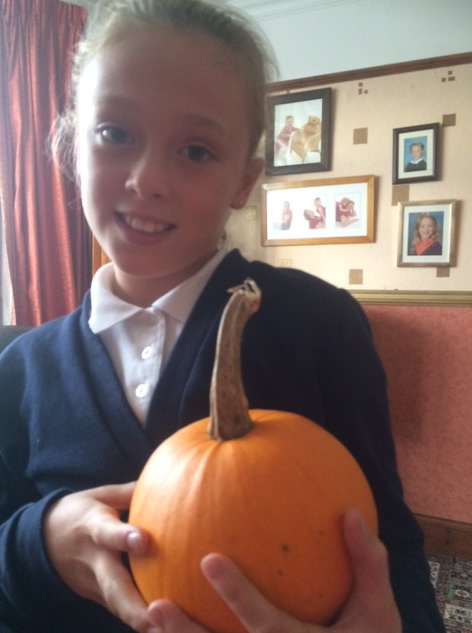 Send in your photos as you grow your pumpkin and we will publish them on our Beeline pages on the website. The school competition will end 16th October, which means you will also be able to enter your pumpkin into the Fonthill competition if you wish. They will be judging on Saturday 24th and are offering prizes for the heaviest pumpkin, the most unusual shaped pumpkin and the most handsome pumpkin. The seedlings are growing well now and lots of children are growing them in school and at home. 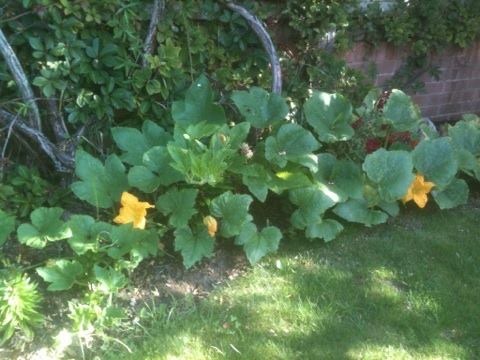 Here’s a great set of photos from Jackson whose pumpkin is growing apace. Well done! If you have any photos you would like to have published please contact the office. 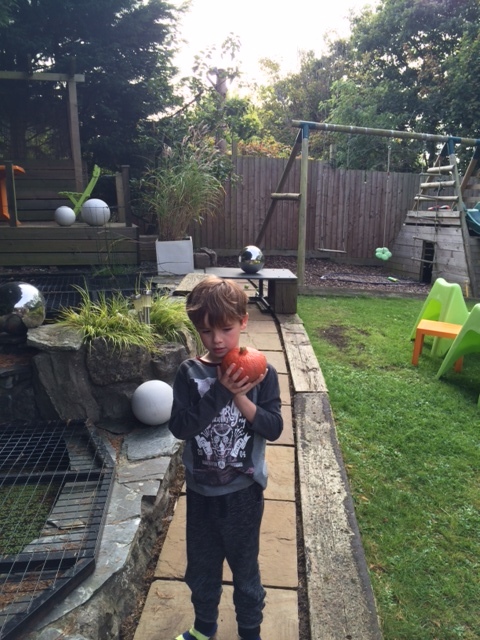 Jackson’s pumpkin is now safely planted in his garden and growing well! Well, the pumpkins didn’t seem to like the weather or something this year. Most of us started quite well but sadly the flowers didn’t produce the pumpkins we hoped for. Jackson did very well though with his pumpkin as you can see here. Well done!! Isabelle’s plant was really healthy and had lots of flowers. And then for the other picture 2178 Isabelle has done a great job as you can see from the photograph – Marvellous!